You can make juicing a lifestyle even when on a tight budget. There is a common misconception that juicing is expensive and it requires more money to eat healthy. The truth is, if you pay attention to the produce you buy and the quantity needed to make your drinks and smoothies, juicing doesn’t have to be expensive. Here are some tips and suggestions to begin saving money while reaping the positive rewards of juicing. The first tip to juicing on a budget is to invest in a quality juicer. Take your time to compare models and examine the advantages and disadvantages of each juicer that you look at. A good slow juicer may be your largest upfront expense, but it will be worth the cost. A quality juicer will ensure you get the most out of your produce, so there is less wastage and huge cost-savings in the long run. By investing in a quality slow juicer, your juicing will be more efficient. You are able to get a better yield and extract more juice out of every fruit and vegetable. When spending a lot of money on juicing, make sure that you get one with a long warranty. I personally like the Omega juicers and the good news is that they come with a 10 to 15 year warranty. Masticating/slow juicers are easy to use, produce great-tasting juices, and capable of extracting vegetable juices that centrifugal juicers are not be able to—such as cilantro and parsley, or small fruits such as berries. While you may spend a couple hundred dollars on a slow juicer, you also save hundreds each year by wasting less produce, because of the high juice yield. Find recipes and make a grocery list that includes a large amount of the most affordable produce. By purchasing apples, celery, carrots, cucumbers and lemons, you will have a good base group of produce to make a variety of smoothies and drinks from. These are all affordable items and readily available in most regions. With your base selection of produce chosen, you can then purchase smaller amounts of other produce to make a larger variety of juicing recipes. It is a good idea to plan ahead. Come up with a list of recipes that you want to make throughout the week and purchase or gather all the produce that you will require—just for that week. By purchasing produce for the next 7 days, you will not have to deal with as much waste. Even though you can freeze produce to keep it fresh longer, it is easier to just buy what you need for the week. When selecting produce, find items that have a high water content. This results in larger drinks with less produce. Watermelon, cantaloupes, cucumbers, apples, oranges, peaches, and various leafy greens all have a high water content. With high water content produce, you will get more drinks without using as much produce. In tropical countries where fresh coconuts are available, drink coconut water when you don’t juice. You don’t need to drink gallons of fresh juices every day. 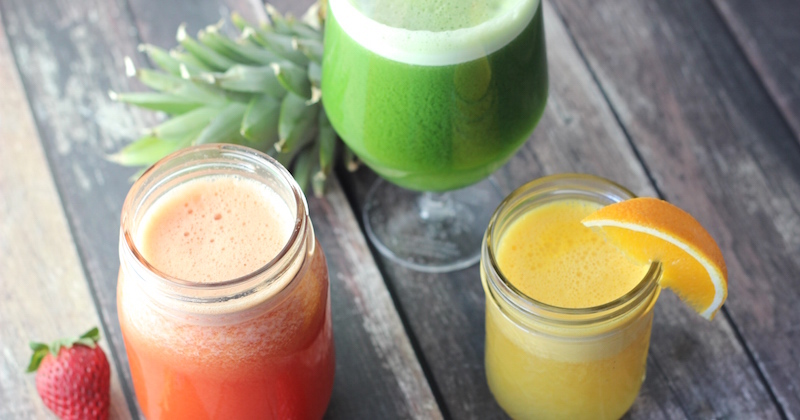 One glass a day or even every other day is better than not drinking juices at all. When not drinking juices, drink plenty of water and eat as much fresh fruits and vegetables as you can. Another way to save money on your produce is to grow your own fruits and vegetables. You do not need much space to grow hearty produce. Choose vegetables that are easy to grow and care for, including spinach, broccoli, cucumbers, green beans, and tomatoes. Here are some tips on the produce you could regrow from scraps. Many people have found that kale is an easy vegetable to grow. It has a longer growing season that most other vegetables and a high yield. As a bonus, kale is commonly expensive in certain regions. If you grow your own, you can easily cut down on your juicing costs. Community Supported Agriculture (CSA) programs, are designed to provide residents with affordable produce from local farmers. Typically, you will pay an upfront fee at the start of the season. Then, each week you will visit a designated drop off location and select your produce or have it delivered to your home. While the upfront cost is relatively high, you will save hundreds of dollars over the course of the year. As an alternative to joining a CSA program, you could consider buying your produce from a local farmer’s market. 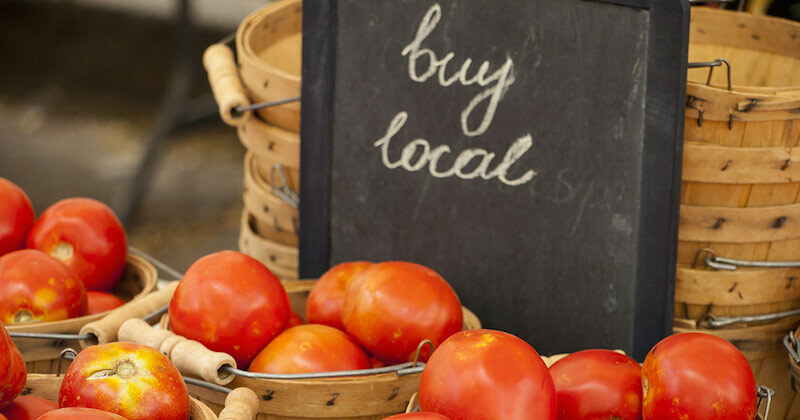 Despite what many people think, you can actually save a lot of money on produce, when you shop at a market, since the produce is going directly from the farm to you and not through a middle man. Hopefully you will be able to use these suggestions to save money. Juicing offers so many different health benefits and it would be a shame for you to pass it by because you are worried about the costs. Start by investing in a slow juicer. Then start building a base group of affordable produce that the majority of your meals can be based around. Consider joining a CSA program or shop at your local farmer’s market. Juicing will help you lead a healthier lifestyle, but it can also keep you from spending a fortune on grocery bills, and medical bills. Be smart and start saving money while juicing on a budget.